I’m currently working on some cool stuff under Linux Mint 10 (64-bit). I like this distro because it works fine for my needs (virtual screens, transparent terminals, gnome 2!). 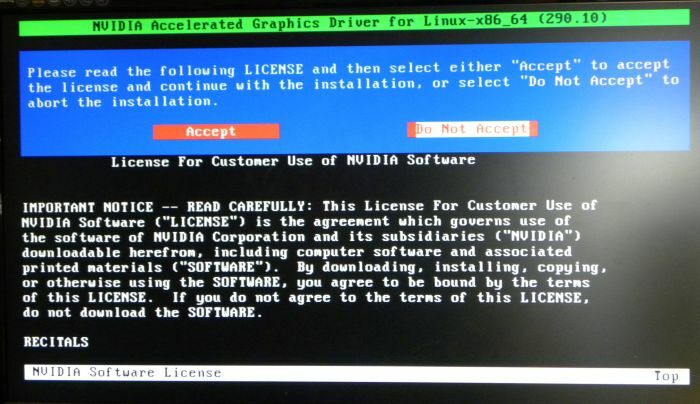 But the NVIDIA driver recommended and installed with Mint 10 is an old driver: R260 family. Then installing the latest driver can be a good option especially is you need latest features such as OpenGL 4.2 or just to support latest cards like the GeForce GTX 560 Ti 448 cores. Currently the latest NVIDIA driver is the R290.10. NVIDIA-Linux-x86_64-290.10.run. I saved the file at the root of my home directory. 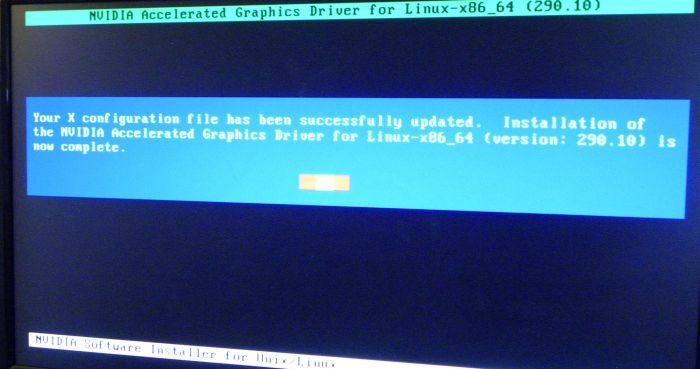 The driver proposes to update the X-server configuration file (xorg.conf). You can accept it (I did). You can use “sudo start gdm” to restart X if you don’t want to wait for a full system restart. You can also issue “sudo gdm stop” using an X terminal instead of a virtual terminal. Thanks Leith! I’m not a Linux guru so all tips are welcome. You can also avoid using the terminal installer by adding the Ubuntu x-updates ppa repo: https://launchpad.net/~ubuntu-x-swat/+archive/x-updates (since the regular Mint is based on Ubuntu, this should work fine). After that, the new drivers come with the other updates using the update manager – no command line or shutting down X required, just a reboot once updated. 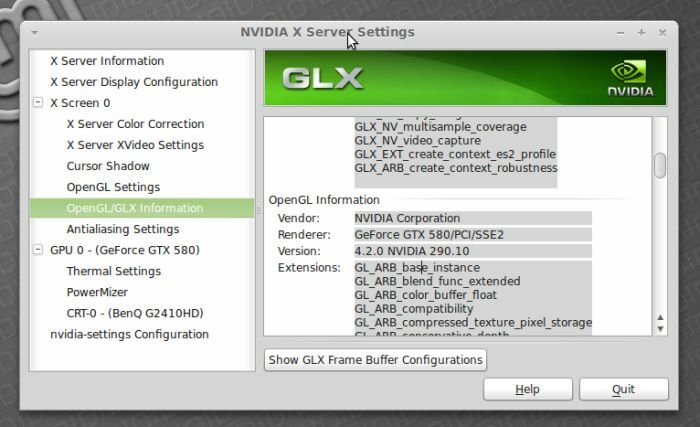 For NVidia, the repository is usually updated within a few days of a new driver release. Better stick with repos … because drivers are versioned for X kernel, if kernel version changes, module won’t load. And X won’t start if you have “nvidia” referenced in xorg.conf but no kernel counterpart is loaded … won’t even start with vesa. proper solution is something like akmod-nvidia in fedora (rpmfusion), when kernel version changes, it automatically recompiles the driver. @Alex: I believe that I saw a recompilation stage during the installation. Is it possible? Closed is only Xorg module. Kernel DRM (Display Rendering Manager) module is build if needed. This has been there since long time…. Here is old article on ubuntu forums describing way to install NVIDIA drivers with DKMS module. DKMS will automatically recompile driver for all new kernel on init. It should work on newer distros with small changes. @virus: thanks for this great link!